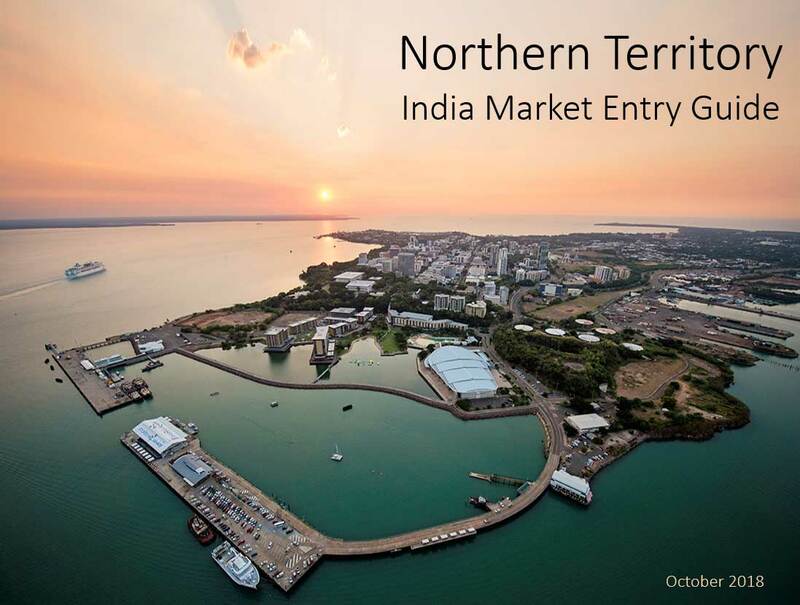 The Northern Territory (NT) Government, in a Team NT approach, is growing engagement between the Territory and India in the areas of investment, trade, education and tourism. In an effort to better understand the opportunities presented by a country the size of India the Department of Trade, Business and Innovation’s Office of International Engagement, Trade and Investment has recently developed an NT-India market entry guide. This has been completed following extensive engagement within the NT community and with key stakeholders such as the Department of Foreign Affairs and Trade (with particular reference to their recently released publication India economic strategy to 2035). The guide is not designed as a formal NT strategy but rather to consolidate current thinking and to bring together ideas and views that have been developed by a number of relevant parties over the past several years. As partners in the ‘Indo-Pacific century’ ahead, Australia and India are each grappling with the implications of the fading of US strategic predominance and the sharpening ambition of China to become the predominant power in the region. Australia is committed to promoting an open, inclusive and prosperous Indo-Pacific region in which the rights of all states and international rules are respected. Australia and India continue to forge a strong bilateral relationship, building on synergy, economic mutual prosperity, security and its people. According to the India economic strategy released in July 2018, Australia should also use India as a way to reduce its economic reliance on the ageing societies of China and Japan. By 2030 the economies of India’s top five cities will be comparable to those middle-income countries of today (Mumbai’s $245 billion USD economy will be bigger than Malaysia’s economy). By 2025 India will have 69 cities with a population of more than one million each. Thus India’s ‘go big or go home’ approach to its infrastructure ambitions include large scale initiatives to build a ‘new India’. ‘make in India’ with its focus on increasing manufacturing output to meet India’s growing population. The NT has an existing strategy to position itself as a ‘gateway’ to both south east Asia and to east coast Australia. It is a unique region that is rich with opportunities. Whilst the NT has a small population despite its large land mass, it has the opportunity to use its resources, expertise and its leverage as part of ‘northern Australia’ and ‘brand Australia’. By keeping the India market entry proposition, efforts and resources focused, the NT has the potential to grow with India on its journey through to 2035 and beyond. The NT’s offer is enhanced by its natural resources which it has in abundance (sometimes referred to as the ‘California of 140 years ago’). As a smaller jurisdiction in Australia, it brings both an ease of doing business and a strong sense of entrepreneurship which is a good complement for the Indian business mentality. However the key to what the NT can offer relies on having a realistic plan as NT human resources are small. Recommended to focus energy on a few key areas over a long term. This is a key sector for the NT and can offer an opportunity to provide India with quality higher education from secondary schooling, under graduate through to post graduate and PHD. Whilst accepting the challenges, possibilities also include digital in country delivery, cost effective vocational education and training (VET) sector delivery to help upskill the ambition of training 400 million Indians by 2025 and areas of expertise for research and collaboration include oil and gas, tropical health, water management, desert knowledge, and mining and engineering. Recognise that there can be a desire from students to consider education as route to a visa migration pathway. The VET and post graduate education opportunities encompass the whole of the NT with centres of excellence in Darwin, Alice Springs, Jabiru and other locations. With a growing middle class population Indians are seeking adventure and experience holidays. In addition to this is the halo effect of the Indian communities in the NT and their visiting friends and family. There is potential to develop ‘brand NT’ within this community and to assist them to market the NT to their networks. Similar to other Asian markets digital influencers are important and the role that can be played by film makers cannot be underestimated - best example was a Bollywood movie featuring Shah Rukh Khan was filmed in Croatia, resulting in tourist numbers tripling in one year. As India continues to grow increased resource demand will need viable and cost effective solutions. The NT is well placed to supply minerals and energy resources as well as safety expertise, technology, and research and development from the mining, engineering, technology and services (METS) stream. Also with the US imposing trade sanctions on Iran, India’s third largest energy provider there exists opportunity for the NT to provide LNG to India. The renewable sector will also provide opportunity - with 24 minerals in a solar power unit and even more in a lithium-ion battery, mobile phone and a wind turbine many are available in the NT. Whilst the Indian agricultural sector is still largely subsistence and small scale farming and the domestic political climate doesn’t allow easily for corporate agribusiness, there is an opportunity for the NT to ‘top up’ certain pulse crops as well as offer counter seasonal quality fruit and vegetables. There is an opportunity for protein alternatives sourced from aquaculture developments of high end quality tiger prawns and premium fish farming.